Both the latest iPhones have an impressive new "Retina HD Display," with the iPhone 6 featuring a resolution of 1334 x 750 (326 ppi) and the iPhone 6 Plus featuring a resolution of 1920 x 1080 (401 ppi). These makes them a great media player for watching HD videos on the go. However, playing videos on them is quite a headache if you just use their native video player, which only supports M4V, MP4 and MOV formats. For WMV, DivX/Xvid, FLV or MKV files you'd have to look elsewhere, or convert. Fortunately, there are many third-party iOS video players out there to help you play more formats. Here we are rounding up top five of the best iOS video player apps for iPhone 6/iPhone 6 Plus, to help with your quest to circumvent the limited video format playback of the default player Apple supplies with iOS. Player Xtreme HD comes as one of the top video players for iPhone 6, iPhone 6 Plus and other iOS models. In addition to its robust abilities to play videos in various formats, it also provides an array of solutions (USB, Wi-Fi and iTunes) to transfer videos flexibly. By the way, it offers a great control over the video subtitles. Player Xtreme HD works perfectly in most cases, but if you want to access more online streaming features, you will have to pay $3 for the pro version. Supported formats: AVI (XVID/DIVX), WMV, RMVB, ASF, H264, MKV, TS, M2TS, MP3, WMA, WAV, OGG, FLAC, etc. 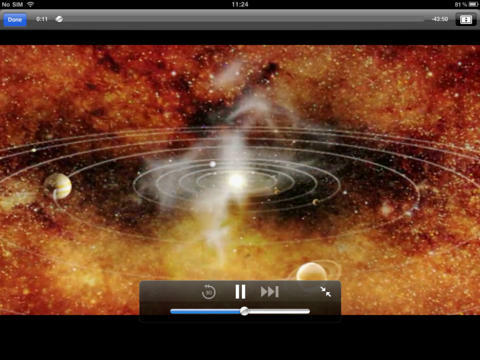 OPlayer is a fairly good iOS video player app playing regular videos as well as HD movies smoothly. Extra features such as attachment playing, lock screen, TV out and iTunes backup simply make it more powerful. However, when people think highly of OPlayer, they generally refer to the paid version. The free version is indeed less functional. 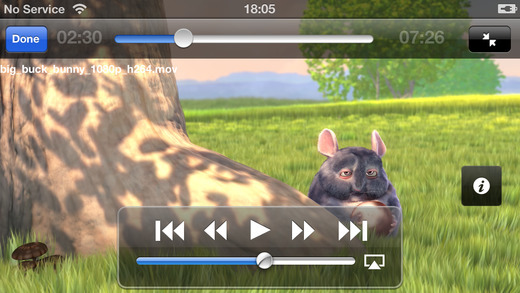 GoodPlayer has long been a well-known and well-performed video player for iPhone, which is also treated as a good Player Xtreme HD alternative. It supports embedded subtitles (SRT, SMI, MKV, etc.) in multi languages and enables iPhone/iPad users to manage files with the built-in file manager module. A shortcoming of GoodPlayer is that it does not support audios in AC-3, DTS, E-AC-3 or TrueHD any more. Supported formats: 3GA, 3GP, AAC, AMR, APE, ASF, ASX, AVI, CUE, DAT, DIVX, DV, F4V, FLAC, FLV, GSM, GXF, HLV, ISO, M1V, M2P, M2T, M2TS, M2V, M3U, M4V, M4R, M4A, MKA, MKV, MOD, MOV, MP1/2/3/4, MPA, MPE, MPEG, MPEG1/2/4, MPG, MPV, MT2S, MTS, MXF, OGA, OGG, OGM, OGV, PS, QT, RAM, RM, RMVB, TP, TS, VOB, WEBM, WM, WMA, WAV, WMV, WTV, etc. Air Playit HD is a rarely free but featured video player app for iPhone 6, iPhone 5 Plus, etc. and serves as an awesome video streaming tool at the same time. In addition to regular audio/video content, it also supports purchased movies from iTunes store (DRM protected). 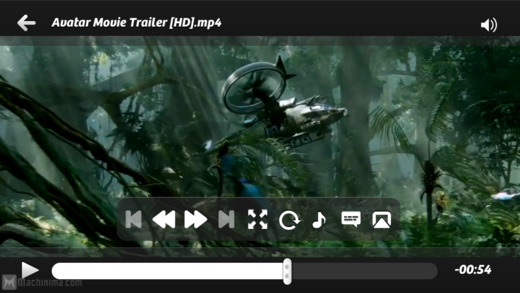 The offline conversion feature makes it possible to play videos in MKV, AVI, WMV, etc. formats on iPhone/iPad/iTouch without previous conversion required. Other features include auto music stream catching, Wi-Fi (HTTP) file transfer, Apple TV-Out support and the like. Despite of its a-bit-high price, It's Playing is a fairly practical video player app supporting online subtitles download, cloud access (Facebook browse, Dropbox playback, etc.) and file management. It works perfectly on HD (1080p) movies and shows strong abilities to decode videos that other video players fail to playback. On the whole, It's playing is a great video player app worth your purchase. Of course there are tons of other video player apps like VLC for iOS for iPhone that aren't mentioned here, as many of them are pretty much the same thing. However, if you still encountered video playback problems with your iPhone 6, iPhone 6 Plus or other iOS devices, you can get EaseFab Video Converter Ultimate to encode/re-encode your movies to a format playable by your iPhone. This app will seamlessly make any file (including DVD and Blu-ray movies) compatible with the big new iPhone.